Whether visiting the American Airlines Center for a concert, performance or sporting event, make your special event the most memorable with the perfect overnight accommodations. 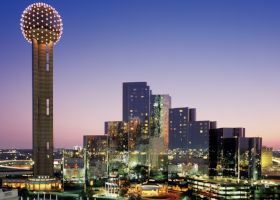 Hyatt Regency Dallas at Reunion is a great spot to meet for drinks before a world touring concert or to rest your head for your entire Dallas getaway. You’ll be right in the heart of downtown Dallas where you can easily walk to art, history, shopping and other destinations in addition to the American Airlines Center. Boasting 1,120 newly redesigned guestrooms and suites, this distinctive downtown hotel delights travelers with “all the little extras” that set the tone for an extraordinary stay. 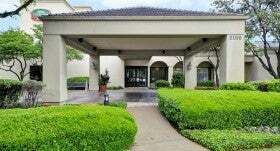 The Courtyard Marriott Dallas Medical/Market Center is located on Market Center Blvd, just two blocks from I-35E. We are located less than 2 miles away from the American Airlines Center. And, our close proximity to I-35E makes most areas of Dallas a quick drive. Renovated in 2016, we offer a newly updated hotel and the service you should expect from the Marriott brand of hotels. Our Courtyard Bistro offers breakfast and dinner options, and we proudly serve Starbucks coffee, tea, specialty drinks and blended Frappuccino. Our recently expanded, on-site fitness center allows our guests to maintain their workout routines while visiting. Our courtyard features an outdoor pool, multiple outdoor sitting areas, and a fire pit. 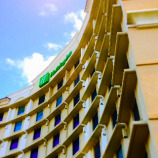 Whether you are in Dallas for work or play, the Courtyard Marriott is a wonderful choice for a unique Dallas experience. Call 214-653-1166 to make your reservations today. The Holiday Inn Dallas Market Center is within 2 miles (5 km) of American Airlines Center and within 1 mi (2 km) of Dallas Market Center and University of Texas Southwestern Medical School. Full service hotel with on-site restaurant & lounge, outdoor pool, fitness center and business center. Free self parking and free area shuttle are also provided. All 200 rooms offer free WiFi and free local calls. 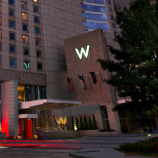 Hyatt House Dallas/Uptown is ideally situated in the heart of uptown Dallas and the Central Business District. This residential-style, extended stay hotel just off Harry Hines Boulevard provides outstanding guest suites with easy access to everything Dallas has to offer including upscale restaurants like Capital Grille and Morton’s Steakhouse, the Harwood International Center, the Dallas Arts District, the West End Historic District and Turtle Creek Corridor. Book now using the link below and Save when attending an event at American Airlines Center. When in Texas, go big — as in bigger, brasher, bolder. Located just steps from American Airlines Center, W Dallas’ uniquely restyled ‘cowboy cool’ guestrooms and suites will have you saying WOW at every turn. Where to begin while you’re here? We suggest a decadent spa treatment at Bliss Spa, followed by a dip in our panoramic infinity edge pool. Then, perhaps a decadent meal and handcrafted cocktail before the game or concert at Cook Hall, our modern American gastropub. After the game mix and mingle with the most beautiful people in Dallas and dance the night away to the hottest tunes spun by our resident DJs in Living Room Bar. And then? Well, that’s up to you. It’s Whatever / Whenever, 24-7 at W Dallas – Victory. Welcome.